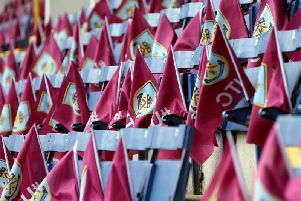 EA SPORTS, the Official Sports Technology Partner of the Barclays Premier League, has teamed up with the Burnley Express to offer one lucky reader a pair of tickets to the Clarets’ Barclays Premier League home match against Liverpool on Boxing Day. The winner will also receive a copy of FIFA 15. EA SPORTS is the proud sponsor of the Barclays Premier League Player Performance Index, the Barclays Premier League’s official statistical index. The EA SPORTS Team of the Week will be available at www.premierleague.com/en-gb/players/ea-sports-player-performance-index.html after each round of games. The team will be based on ratings from the EA SPORTS Player Performance Index. To win the tickets and copy of FIFA 15, send your answer - and contact details - to the following question to chris.boden@jpress.co.uk by noon, Monday. Who scored the calamitous own goal when Burnley last knocked Liverpool out of the FA Cup? One entry per household. Prize to include one copy of FIFA 15 video game (for console of their choice - Xbox One or PS4). The prize winner and guest will be notified and are responsible for their own travel arrangements.